The Sixth Annual NYCTaper CMJ Day Party at Cake Shop was headlined by a band fronted by one of our favorite people in the music world. Vincent Cacchione has been a friend of the site for years, going all the way back to his days as guitarist in Shilpa Ray’s band, through the emergence of Soft Black, and ultimately his current project Caged Animals. 2013 has been a big year for the band, as Caged Animals released a universally praised new album In The Land of Giants in September. Their set at our Day Party was a celebratory affair, with the band asking and receiving crowd participation throughout. Vincent’s engaging personality is infectious but the other members of the quartet, including his sister bassist Talia, keyboardist/vocalist Magali Francoise and drummer Patrick Curry were all involved in the party atmosphere. The band performed songs from all of their releases including “Teflon Heart” that we’re streaming below. Sadly, as our show ran up into the night show, Caged Animals were only able to play their allotted 30 minutes — next time we’ll hope for more. I recorded this set in the same manner at the J Fernandez set and the sound quality is superb. Enjoy! 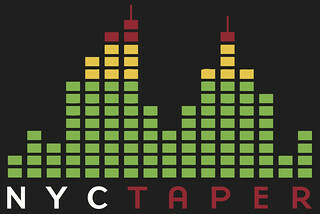 If you download this recording from NYCTaper, we expect that you will PLEASE SUPPORT Caged Animals, visit their website, and purchase In The Land Of Giants from their Bandcamp page [HERE] or from the links at the Lucky Number Music website [HERE].